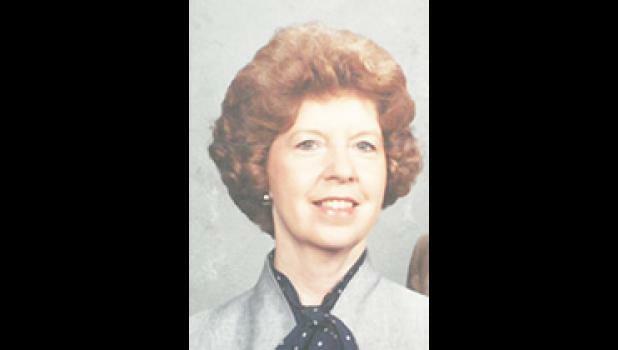 Helen Joan Edney Gordon, 87, passed away on October 16, 2018 at her home. A native of Hendersonville, North Carolina, daughter of the late Paul and Lecy King Edney, she was a retired employee of State Auto Insurance, and a member of Washington Baptist Church. Surviving are her husband, Milton Gordon of the home; two daughters, Deborah Lee Gordon of Taylors and Paula Gordon White (James) of Lyman; one sister, Jean McKinney of Summerville; and one granddaughter, Emily Suzanne White. Mrs. Gordon was predeceased by a brother, Alan Dean Edney. Funeral services will be held 11 a.m. Friday, October 19, 2018 at The Wood Mortuary conducted by Dr. Drew Hines. Burial will follow in Mountain View Cemetery. Pallbearers will be Mike Wade, Tony Tipton, Chuck Harvey, Jimmy White, Bruce Redmon and Jack Hollifield. Visitation will be held 6-7:30 p.m. Thursday, October 18, 2018 at The Wood Mortuary. Memorials may be made to Greer Community Ministries, P.O. Box 1373, Greer, SC 29652.